With a new route, the fourth Double Bay Double has gone into the history books as another successful event. 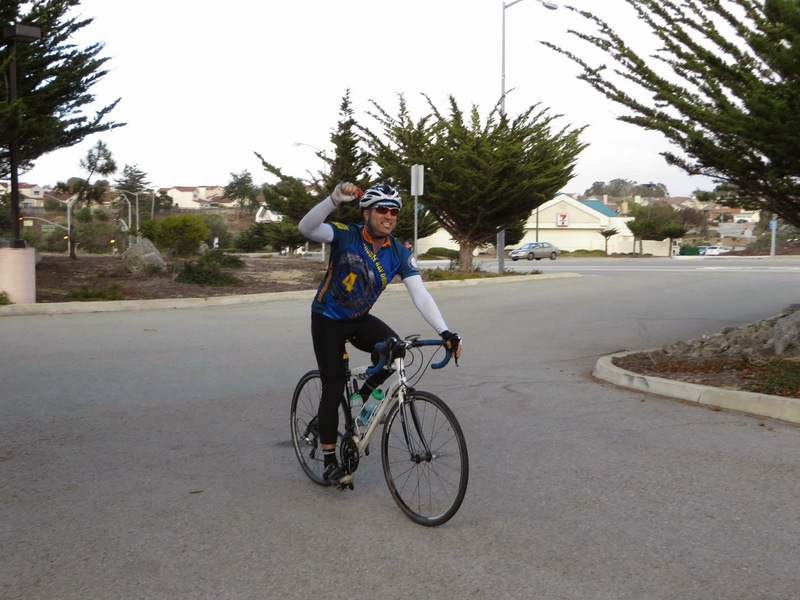 Our 12 riders and and seven volunteers made it all the way from Sunnyvale to Marina and back without any significant incidents, and we have so far raised more than $10,400 to support the San Francisco AIDS Foundation. In fact, after having unpleasant weather surprises in every previous DBD, we were extremely fortunate this year that temperatures were moderate throughout the weekend and (sadly for the state's drought) the most precipitation we faced was just a few scattered sprinkles on part of Day 2. This year's event start/finish moved from Mountain View to Sunnyvale because of new parking restrictions related to Levi's Stadium. We took the opportunity to move the start a few miles to the southeast in Sunnyvale -- still "near" the bay -- and this gave us some newfound flexibility in designing 100-mile routes for both days of the event. For starters, we began Day 1 by riding nearly the full length of Lawrence Expressway southbound. During commute times, such a move would be stressful at best and dangerous at worst. But at 7 a.m. on a Saturday, things were relatively calm, and this allowed us to get out of the city and into the hills much earlier in the day, and with far fewer stop signs and traffic signals. One rider got a flat tire along this stretch, however -- a theme that would recur throughout the day, mostly due to the rain that fell the previous two days and left scattered debris on shoulders across the area. Soon enough, we were amid the rolling hills (and palacial estates) of Saratoga, and we quickly took our first rest stop before starting our big climb of the weekend. 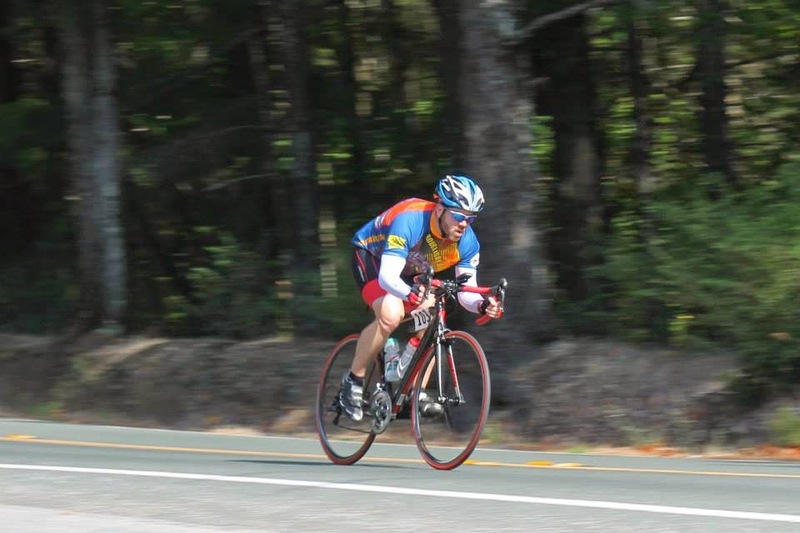 Highway 9 out of Saratoga, which tops out at more than 2,600 feet above sea level, is one of many benchmark climbs for area cyclists. The climb of nearly seven miles usually is uninterrupted and is moderate but rarely steep. But two sections of road work this year meant that most cyclists had to wait several minutes at one or both locations before the traffic signals allowed them to proceed on the one-lane sections of highway. This might have been bad for setting any personal speed records, but it was also a very good thing for us because it forced most riders to take some breaks during this long climb, preventing people from burning out so early in the weekend. The top of Highway 9 is where most cyclists reach their peak and begin to head back down. But not us! We took advantage of the very helpful water (and snack) stop that AIDS/LifeCycle had set up for us (and where just the tiniest wisps of fog had finally arrived), and then we headed south on Highway 35 (Skyline Blvd.) for even more climbing, all the way to a peak of about 3,163 feet above sea level. There's only one way to go from there, and that's downhill ... and that's where many of our riders had the most fun of the weekend. That part of Skyline usually isn't part of training rides or events, so it was completely new to many of our riders and volunteers. Over the next 10 miles, the road gradually gave back about 1,400 feet of elevation -- and it turned into a narrow, desolate, almost traffic-free one-lane road that offered amazing panoramas of the Santa Cruz Mountains. Sure, there were a few little intermediate climbs -- some of which even called for the granny gears to come back out -- but this part of the ride easily won the most compliments, including "best road ever." One rider apparently liked this descent enough that they kept going down Bear Creek Road instead of turning onto the last two miles of one-lane Skyline. They ended up all the way down at Lexington Reservoir (elevation about 700 feet) near Highway 17! Making them climb back to the summit would have just been cruel, so one of our support vehicles rescued them and brought them back on course. With all of the different jurisdictions we travel through, it's tough to keep track of road work. After crossing Highway 17 onto Summit Road, we got a bit of a rude surprise when we found that a few miles of the road had very recently been chip-sealed. The surface had been sealed, but there was still plenty of loose gravel and even more blowing dust that whipped us every time a car or truck passed us. So as we pulled into the second rest stop at Summit Center, many of us were ready to take a break. After the break, however, we were still about 1,600 feet above sea level, and we needed to get to the metro Santa Cruz area. What did that mean? More descending! 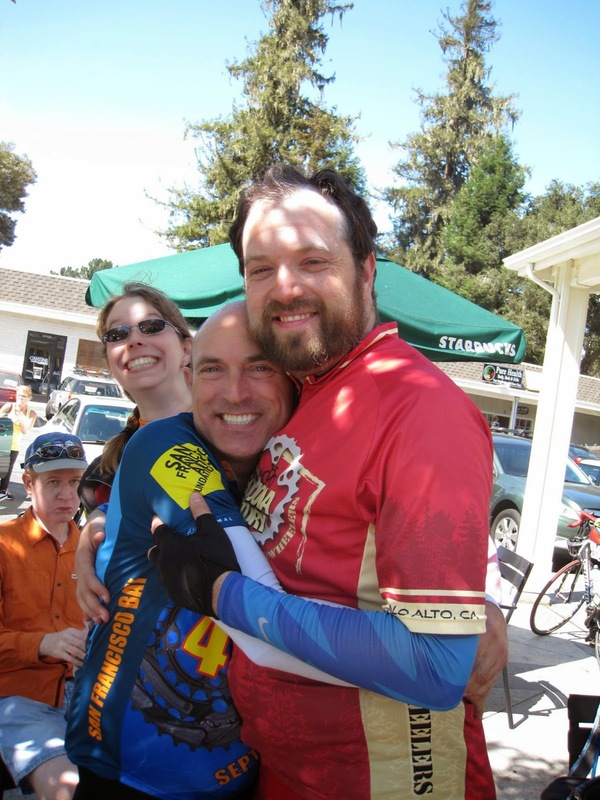 Also new this year was our 11-mile descent of Soquel-San Jose Road, a glorious, fast route that most of us also enjoyed. Better yet, after all that descending, we arrived in Soquel for Rest Stop 3, fairly well-rested and ready to keep going, almost as if the day wasn't already half over. With a new route out of Soquel via Trout Gulch and Valencia roads, we quickly escaped the hustle and bustle of the city. A little more traffic built up as we approached Watsonville, but our new bypass route this year allowed us to avoid the sketchy shoulders and traffic signals of previous years. As we turned onto Highway 129 to head east for a few miles -- with a gloriously smooth and wide shoulder -- the winds picked up out of the west, giving many of us an effortless, quick ride to Murphy Crossing Road. 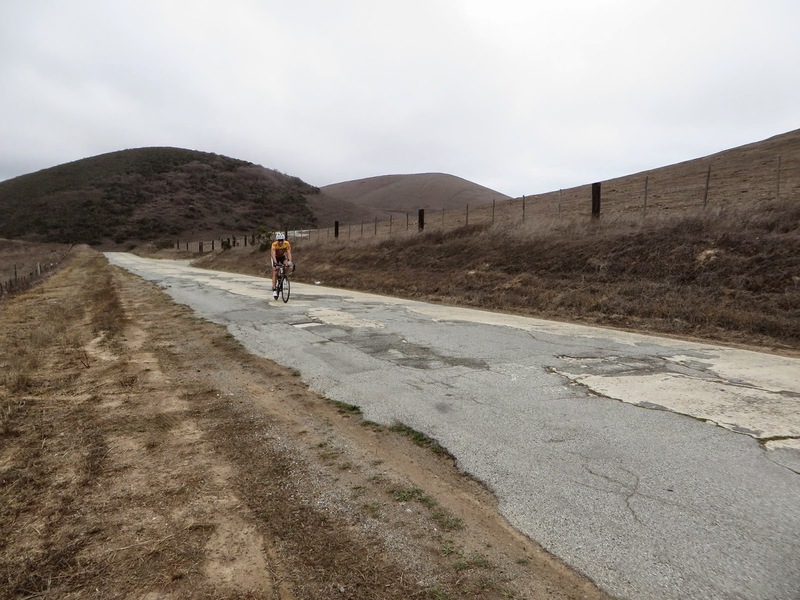 With only a few roads crossing the Pajaro River, our choices to get across the river are limited, and Murphy Crossing was the best of a suboptimal set of options: rough, pitted, potholed, with heavy agricultural traffic. Fortunately, it only lasted a couple of miles, and it was mostly flat, but most of us were happy when it was over. A short but attention-getting climb up San Juan Road took us to the turnoff for the tiny community of Aromas, into which we descended for our final official rest stop of the day. The toilet inside the Aromas Free Library was appreciated by many, as was the friendly and helpful staff that greeted many of us. Our last long climb of the day was San Miguel Canyon Road, a mostly moderate climb that was a bit easier thanks to more tailwinds. The reward this time was an equally long, equally moderate descent into Prunedale, where friend-of-DBD John had set up a secret water and snack stop for us, which was a most pleasant surprise. The skies had become noticeably more dark, and a few drops of rain even fell on some riders around here. The route from Prunedale to Castroville was also new this year. Blackie Road started out fun enough, with a moderate climb on a smooth road with a nice shoulder. But conditions gradually gave way to more of what one expects in rural Monterey County: a rough, narrow road with no shoulder. Moreover, now that we were heading westward, the winds that were helpful tailwinds earlier in the afternoon had become annoying headwinds. Speeds dropped for many riders during this stretch, and many of us were even pedaling downhill to keep up our speed. The headwinds didn't let up on the bike path out of Castroville, so we were more than ready to take one more unofficial break at Pezzini Farms, home of the famous ALC artichoke stop, even though we were just five miles from the end of our day. Del Monte Blvd. into Marina is the same road that it's been for many years: rough in places with a bike lane that's serviceable at best. Some of us stopped at the Marina city limits sign for ceremonial pictures, but others were more than ready to get to their hotels as quickly as possible. That, however, didn't stop a few riders from adding a few bonus laps around the parking lot -- or riding to the beach and back -- to make sure that their bike computers registered a full 100 miles for the day. The last riders -- one of whom was completing their longest, most difficult ride ever -- arrived well before the official 6:30 p.m. route closure, and the usual collection of small groups formed to head to area restaurants for dinner. This year, several of the riders and volunteers decided to congregate in the Comfort Inn lobby to feast on delivered pizza and salads -- a good choice for those who wanted to eat more than the standard restaurant portions, a not-so-good choice for one rider who ate a little too much and got an upset stomach, causing them to skip riding Day 2. As usual for Day 2, I was awake before 5 a.m., expectantly looking outside in the dark for signs of the dense fog that has plagued us many times in the past. This year, however, the fog was nowhere to be found, temperatures were in the low 60s -- much warmer than usual -- and there was almost no wind. All the ingredients were there for a perfect ride-out. After a brief announcement that our fundraising total had increased by about 10% just overnight, we got underway a couple of minutes before the official 7 a.m. start. Because we were riding one week later than we did last year, headlights and tail lights were most helpful. 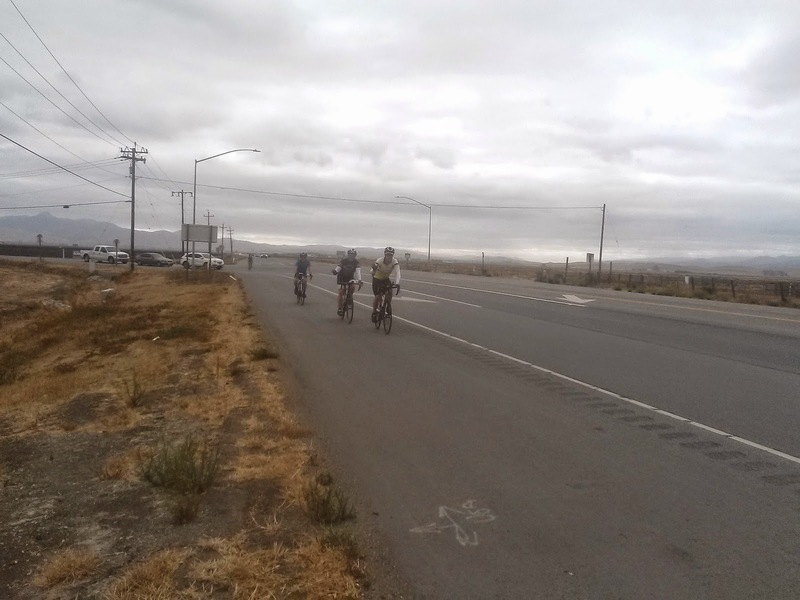 Although one rider had a flat tire in the first segment (not really a surprise, considering all of the dirt and gravel in the bike lane due to agricultural traffic), we mostly made good time into Salinas on the almost-complete new bike lane along Davis Road. After a quick Starbucks rest stop, we headed north for our big climb of the day: San Juan Grade. Skies continued to be gray, and the hills were as barren as ever as we climbed to just over 1,000 feet above sea level, where friend-of-DBD John was again waiting with water and snacks. The descent on Salinas Road was at least as rough as ever, but traffic was a little bit lighter than in previous years. I often gripe about the absolutely horrible condition of this road, but I remind myself that if the road were resurfaced, then more people would use it as a bypass of U.S. 101 (it was the original 101 until the late 1920s), and they would undoubtedly do so at much higher speeds. So I think we're stuck with it. As we left our next rest stop in San Juan Bautista and headed east, we could see several patches of low clouds -- or was that light rain? -- on all sides around us. As we went around the west side of Hollister, we reached the easternmost part of our route, which is farther east than the state Capitol building in Sacramento. A left turn onto Highway 25 started us back toward civilization, and we were very fortunate again this year to have nearly no wind on this segment of road that's notorious for intense headwinds. By the time many of us reached Gilroy, the skies were dropping liquid on us -- whether it was heavy mist or light sprinkles is open for debate -- but that also meant that temperatures were unusually cool, which was a relief compared to the often-hot conditions in the South Valley. 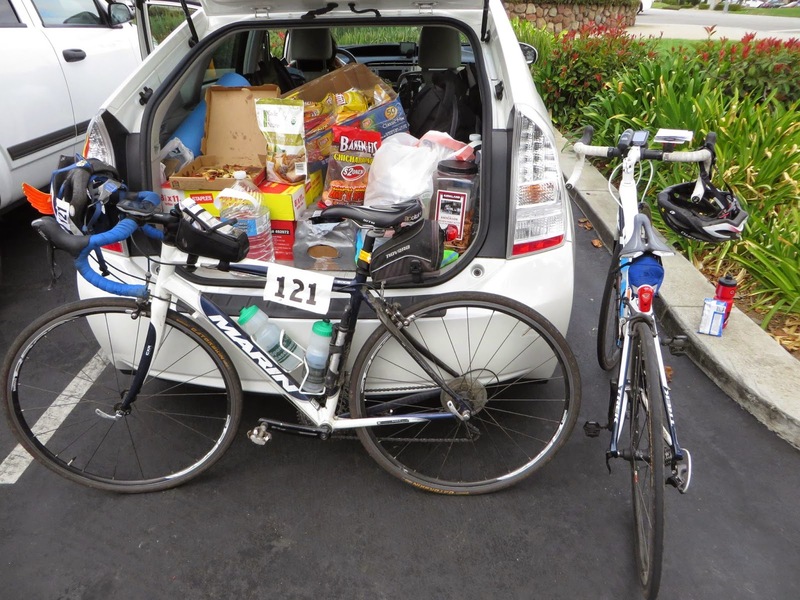 One rider decided to leave the event in Gilroy with the usual collection of cyclist aches and pains, but the rest of us continued forward. 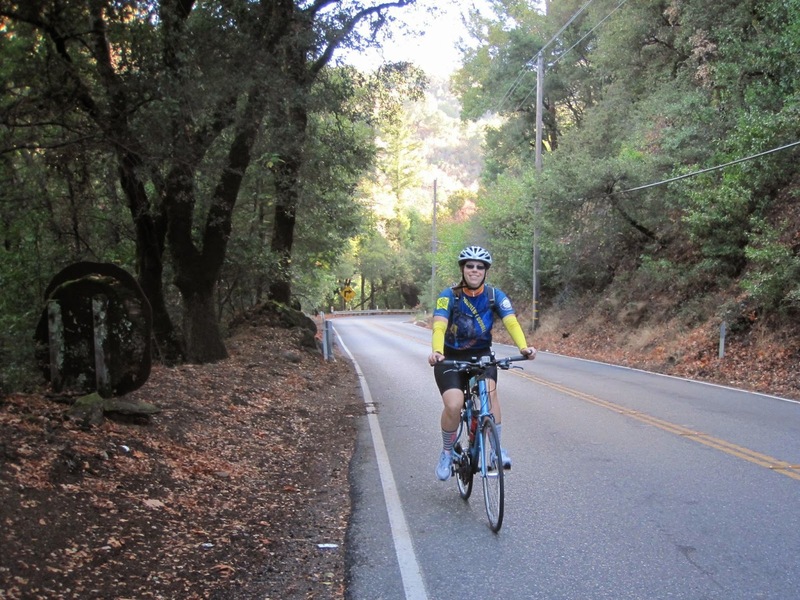 The streets of Gilroy provided a brief change back into city riding, and we headed north out of town on a new route this year that skipped much of the narrow, high-speed Uvas Road in favor of a direct route along Santa Teresa Blvd. 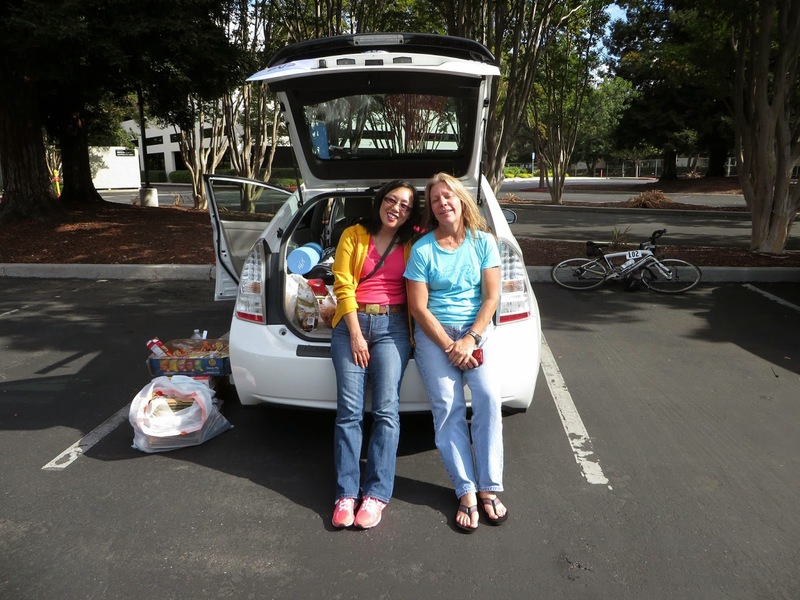 into a new rest stop in Morgan Hill. Temperatures were starting to warm up, and I exchanged my windbreaker for arm warmers as I left town. But just a couple of miles later, the sun suddenly emerged from the clouds, and things warmed up dramatically and quickly. Just as quickly as the arm warmers went on, they came off, and we were treated to beautiful weather as we saw the amazing and sobering sights of the almost-empty Chesbro Reservoir, complete with a bridge from the original road that was submerged in the mid-1950s when the dam was built. After a short climb on McKean Road, John was there to surprise us one last time with goodies. (My apologies for the error on the route sheet that misplaced the name change from Uvas to McKean.) Then we were back among the big-city roads and traffic of south San Jose as we entered our final rest stop of the event, where friend-of-DBD Debi had showed up to provide frozen Otter Pops in the increasingly warm afternoon. There were still about 22 miles to go, but this year's new route back to Sunnyvale only had one significant climb: the ascent of Camden Avenue. After that, it was fairly easy riding back into Los Gatos and north into Campbell, where we began the event much as we began it: with a fast ride of several miles on a county expressway (San Tomas this time) directly back to Santa Clara and Sunnyvale, skipping most of the traffic signals and all of the stop signs on the side streets of previous years. And for the second day in a row, everyone was done long before the official 6:30 p.m. closing time. Some participants assembled nearby for hamburgers, others went home, and everyone got ready to emerge from the mini love bubble and return to the real world. A total of 12 riders began this year's event, and 10 finished. Each of those 10 rode every mile of the route. It was another safe event -- no crashes or injuries -- and we had only a few of the minor mechanical issues and flats (and one blowout) that pop up on any event. Our riders deserve special commendation for riding safely and obeying all the rules of the road and of the event. To me, although this year's route was still quite challenging, it seemed slightly easier than those of previous years -- just as I intended. Cutting the length of Day 1 back to about 100 miles also helped considerably and got everyone to Marina well before the 6:30 p.m. closing time. And on Day 2, the new route between Gilroy and Morgan Hill eliminated what, for me, was the part of the ride where I often hit my proverbial performance wall and started to dread the rest of the day. Of course, the generally favorable weather this year almost certainly helped as well. Also, I was pleased that the new route along the crest of the Santa Cruz Mountains on Day 1 got generally high marks. One of my big goals this year was to offer scenery that's not often seen on training rides and other events, and I think we delivered in high style. And by arriving at the coast in Soquel, we were able to bypass much of the heavy Santa Cruz traffic that has hounded us in past years. Again this year, our volunteer team did an amazing job of supporting our riders. Big thanks go to volunteer coordinator Taryl, and to Brendan, Brian, Clyde, Irene, Dale, and Andrew, plus friends-of-DBD John, (another) John, and Debbie for added support and encouragement along the route. Even though we had no serious incidents, it's impossible to overstate the immense value of seeing a friendly face in an unfamiliar place and knowing that help is there if we need it, even if we don't. We couldn't have done it without you. 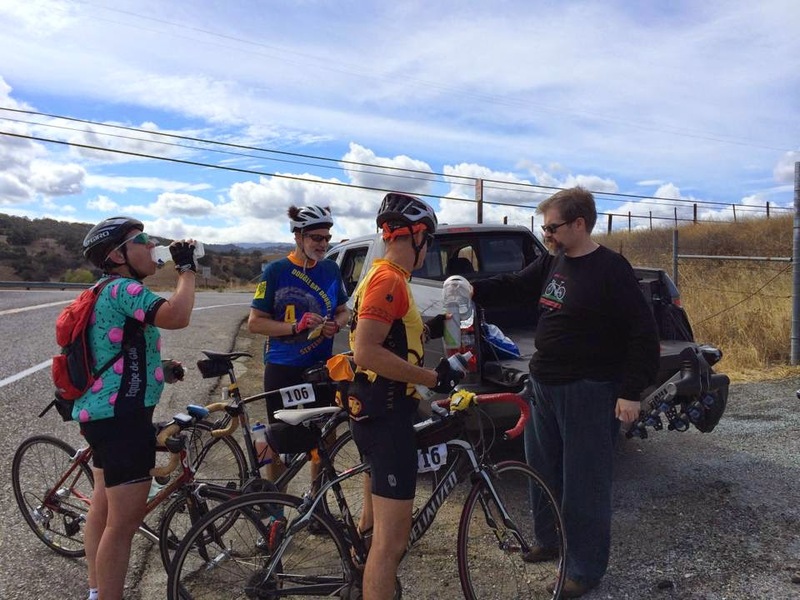 Thanks are also due again this year to Different Spokes San Francisco, which provides the legal framework under which the ride can exist. Without this structure, the ride couldn't happen. The several months of work that I put into organizing and producing DBD always motivates me; the summer of training rides gives me something to focus on; and seeing the many riders, volunteers, and supporters come together for a good cause every September moves my soul. But I would be remiss if I didn't acknowledge at least some disappointment that this year's event wasn't nearly as large as I had hoped. 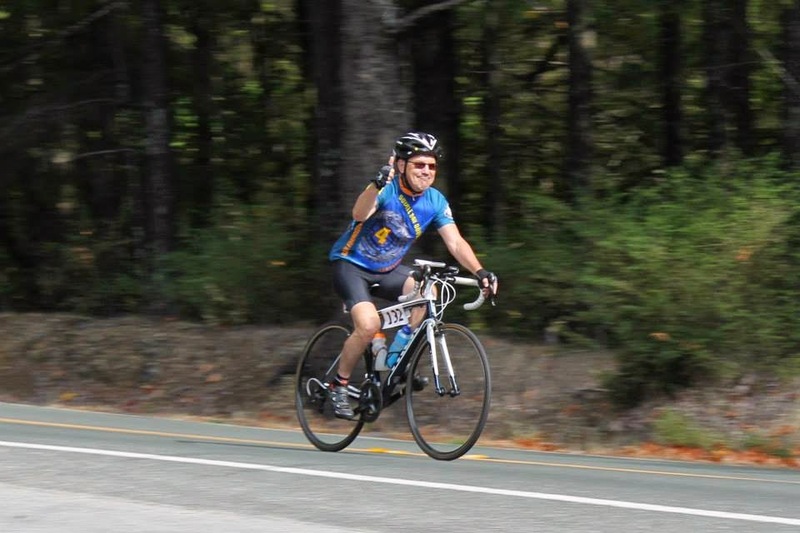 Our attrition rate this year -- riders who registered for the event but did not ride or fundraise -- was more than 50%, even excluding those who registered as riders but later converted to much-needed volunteer roles. (In fact, many of our non-riding volunteers did significant fundraising this year, including -- as of this writing -- top fundraiser Andrew Bennett, and for that I'm extremely grateful.) The reasons were many: injuries, insufficient training, or just simply life happening. And since we have no actual event "staff," we don't spend much time on what the event professionals would call "retention," so it was mostly just a confluence of random events that kept this year's event small. Nevertheless, in retrospect, I wish that I had been able to invest more time in promoting the event and attracting (and keeping) new and returning riders alike. And while more than $10,000 for the San Francisco AIDS Foundation is definitely something for our small group to be proud of (as is the more than $50,000 that DBD has raised for the foundation since it began), I'm sorry that I wasn't able to bring more money to the foundation this year, especially considering all the behind-the-scenes help they give us every year to run registration and fundraising. Even though our numbers were small this year, the camaraderie among us was out in force, and our own "mini love bubble" encased us for the entire weekend. DBD is a magical event, and I'm proud to be part of it. But I'm just one part; everyone who comes together to support SFAF and one another -- through riding, volunteering, donating, supporting, or just thinking good thoughts -- provides the real magic. And in a world that's increasingly difficult for many, it's refreshing to escape the tribulations, even if only for a weekend, and especially while doing good for others. Thank you to everyone who's been part of DBD.